Set up your blog: the first step to blogging is setting up an account with a blogging website such as Blogger, Live Journal or WordPress. If you have your own existing website, WordPress can slot right into in. WordPress is one of the most highly recommended blogging platforms and receives some of the best reviews. Focus your blog on some specifics: the best types of blogs have a specific focus and contain a few sub sections about a few select ideas or things. Choose something specific that you are passionate about and interested in – your experiences as a writer, the latest technological reviews, sports games that you have watched – whatever takes your fancy! It’s really helpful to choose no more than five key words which will define what kind of content will appear on your blog. Use tags: these keywords are also know as tags, and can be a very helpful blogging tool. Use the tags in your articles, about three per article should suffice. This will help your readers navigate your blogs. They also make it easier for internet search engines to pick up on your blog, and for people who may be interested in what you’re writing about to find you! Write often: Most internet search engines such as Google display the most current links first when they return search results, so it is important that you are constantly writing and updating your blog in order to ensure that your blog articles are high up on internet search results lists. Your readers will also appreciate a regularly updated blog as it shows you are keeping your blog up to date and that the content is fresh and interesting. Keep it fresh: It’s important to update your blog regularly, but it’s also important to keep your blog newsworthy. Ask thought leaders to contribute (via guest posts) and link to other relevant blog posts that your readers might find interesting. Once your blog has been established and you’re writing articles, all that is left to do is self-promote! 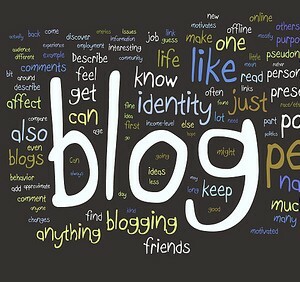 Add you blog URL (blog address) on every e-mail you send and every social networking post you create, ask your friends to repost your articles or their social networking accounts. Need help with your blogging efforts? Contact WSI OMS today!